Luxury real estate sales and marketing specialist Pili Gomez is a Top Producer with the prestigious Dora Puig Team at Luxe Living Realty, the premier boutique brokerage in Miami Beach, Florida. Responsible for more than $50 million in residential transactions during her career, Gomez credits her loyal client base and high repeat referral business to her strong negotiation skills, market expertise and experience catering to the upper echelon of the luxury South Florida market. Gomez was named one of the 2017 Top Producers of the Year for Luxe Living Realty with millions in volume transactions for the year. She specializes in the Miami Beach, Downtown, Aventura, Key Biscayne, Brickell and Coral Gables markets, focusing on home buying, selling and investment properties. 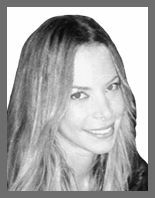 She has served on the development sales teams for successful Miami luxury condominium developments including 900 Biscayne and most recently, Riva Bay Harbor. Gomez’ professional background is rooted in providing first-rate client service, sales and marketing, having previously worked in marketing and public relations at Latin World Entertainment, the premier talent management and entertainment marketing firm in the United States. Prior to joining Luxe Living Realty, she worked at Piquet Realty in Miami where she earned consecutive Top Producer accolades from 2011 through 2013. Gomez follows a consulting approach with each client, taking them step by step through the home buying and selling process to ensure that she provides each client quality individualized service. Hard working, dedicated and knowledgeable, she takes pride in going above and beyond to ensure a smooth real estate transaction and to exceed all client expectations on every deal. Born in Colombia, Gomez is fluent in English and Spanish.